Download the infographic: What you wanted to see next at Crissy Field! Throughout its history, Crissy Field has been a remarkable place - from an important gathering place for the Ohlone to a Spanish military garrison, and then a US Army airfield. Almost 20 years ago, the Golden Gate National Parks Conservancy and the National Park Service (NPS) helped transform Crissy Field from a military airstrip to the beloved parklands used by so many people today. With community support, including thousands of volunteers and $34.4 million raised, the asphalt-covered dumping ground became part of the fabric of San Francisco and a cherished national park. Crissy Field now holds a special place in the hearts of many and is a place where the community can gather, create stories, and come out to be restored. Today, visitors and volunteers from all over are drawn to Crissy Field for relaxing waterfront strolls, picnicking, youth leadership programs, community service projects, and abundant recreational opportunities. It’s truly a universally-beloved spot. In the 20 years since the creation of the park, Crissy Field has seen plenty of use. Parts of the bayside national park are in need of repair and rehabilitation, while other areas hold potential not yet realized. While you love Crissy Field, most of you think it has more potential so that all visitors are able to enjoy the park for decades to come. To connect with the community by creating an inclusive, welcoming place that’s accessible and easy to enjoy. To create a sustainable, well-designed space that’s durable, flexible, and easy to maintain in the decades to come. 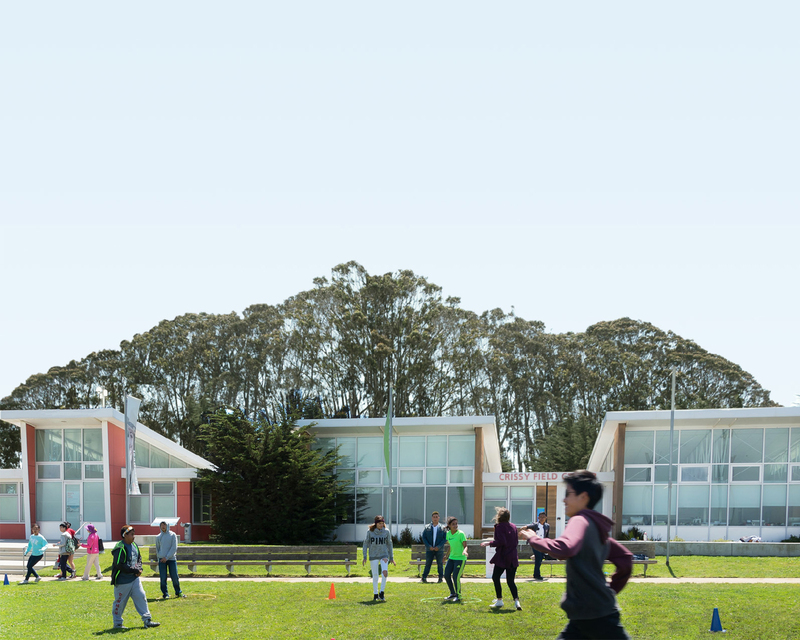 On June 1 from 10 am – 2 pm, we’ll be hosting a Crissy Field Next Open House at the Crissy Field Center. This public event will allow us to share design concepts and options that best reflect the input we’ve gathered. You’ll also have a chance to talk with the project team at the Open House while enjoying family-friendly activities and snacks. Join us as we embark on this next chapter of Crissy Field. Learn more at crissyfieldnext.org. The Parks Conservancy celebrates the beloved Crissy Field with this handsome graphic printed in an outstanding silk-screened edition on premium stark white paper, framed in classic black wood.